Previously recorded distance learning opportunities are available on-demand. Some of our most recent recordings feature information about tax reform and various sessions from the annual meeting, held earlier this summer in Minneapolis. Student and family education tax benefits. UBIT, excise taxes, and penalties. In the recent webcast, What Should College Leaders Know About Tax Reform?, the presenters—Joseph R. Irvine, senior lecturer in law at Fisher College of Business, The Ohio State University, Columbus; Philip Hanlon, president of Dartmouth College, Hanover, N.H.; Brian Flahaven, senior director of advocacy for the Council for Advancement and Support of Education (CASE); Liz Clark, director of federal affairs at NACUBO; and Mary Bachinger, director of tax policy at NACUBO—gave viewers a greater understanding of the proposals that could impact higher education, an analysis of the major implications for colleges and universities, and ways to advocate for their campus communities. Hanlon opened the program by urging viewers to engage in the public discourse by communicating the value of higher education, highlighting the economic benefits public institutions bring to neighboring communities, and conveying the financial and budgetary implications that proposed tax reforms will have on all of us. For more information or to register, visit www.nacubo.org/DistanceLearning. The NACUBO 2017 Annual Meeting, “Currents of Collaboration,” offered more than 90 learning opportunities, with several selected for real-time, live video streaming. The NACUBO Live! Program, supported by Sodexo, offered two tracks—one for small institutions and the other geared towards larger universities. The fully interactive platform allowed individuals to ask questions, chat with other participants, download materials, and participate in live polling. Using Multiyear Forecasting to Assess Financial Strength and Engage Stakeholders. To Merge or Not to Merge? A Question Higher Education Needs to Consider. Retaining and Recruiting Students in a Global Marketplace. Successful Tuition Resets: Bold, Relevant Solutions in a Disruptive Marketplace. Featured Session: The Changing Face of Higher Education: To Merge or Not to Merge? Featured Session: Reaffirming the Public Trust in Higher Education. Controlling Long-Term Energy Costs With Renewable Energy Purchase Agreements. Celebrating Our Differences, Connecting Through Our Sameness. These sessions will be available from Aug. 18, 2017–Feb. 1, 2018. Participants who attended the meeting in Minneapolis, and those who joined the online event, will have access at no additional cost. To register, visit www.nacubo.org/DistanceLearning. 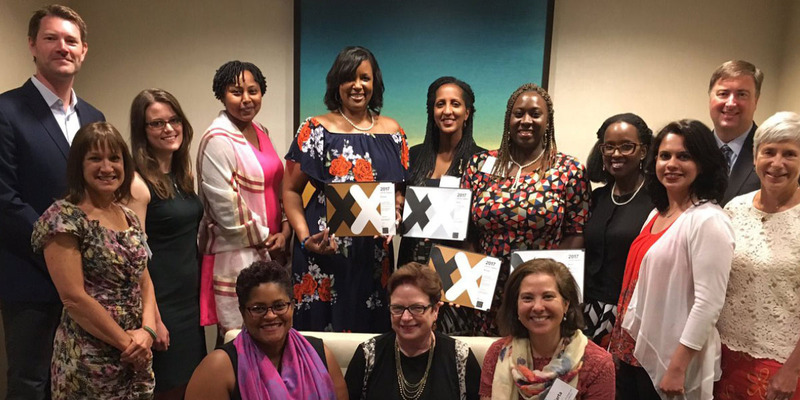 Each year, the Association for Media and Publishing (AM&P) recognizes excellence and leadership in nonprofit association media, publishing, marketing, and communication through its EXCEL Awards. Silver award for “CBO Speaks” (Digital Media: Podcast). Silver award for the NACUBO 2017 Annual Meeting Website (Digital Media: Redesign). Bronze award for the NACUBO Workshop Series (Promotional Content: Event/Convention). Bronze award for the NACUBO 2016 Pop-Up Box (Promotional Content: Direct Mail—Single Piece). Each year, NACUBO honors individual and institutional excellence through its awards program. 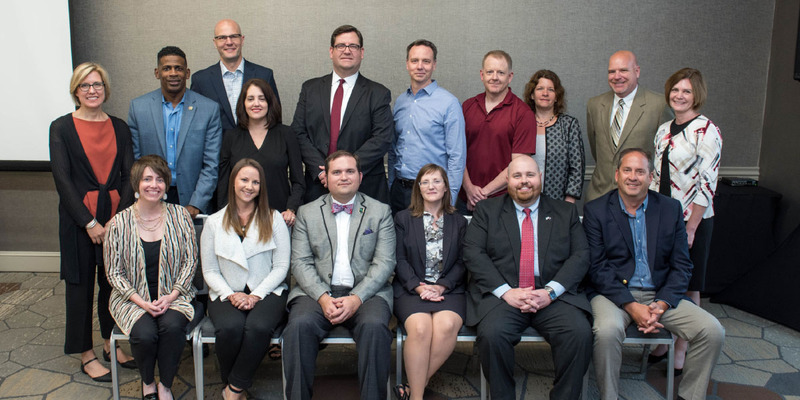 The 2017 recipients were recognized in July, during the annual meeting in Minneapolis, at a ceremony supported by Oracle. Established to identify and encourage individual and institutional excellence in college and university business and financial management; promote active participation in NACUBO’s programs and services; identify individual and institutional role models; and contribute toward a positive perception of the business officer profession, this year NACUBO gave out awards in the categories of institutional innovation, rising star, professional development, accounting, and the distinguished business officer. Following is a list of the 2017 NACUBO award recipients. Honoring outstanding institutional innovation and achievement in the areas of process improvement and resource enhancement. Brandman University, Irvine, Calif., created a student accounts receivable performance metrics and collections system. A multiphase project to develop a high-performance student accounts receivable (SAR) management and control system, the effort is intended to result in long-term financial benefits to the institution. Introduction of the performance indicators has had a profound impact on Brandman’s financial well-being, as evidenced by both increased cash balances and decreased SAR balances. The amounts uncollected systemwide were reduced from a total of 4.5 percent to 1.5 percent. Other improvements include a decrease in the number of days to receive a student payment, an increase in the percentage of student payments received before the due date, and a dramatic reduction in the amount of staff time required to follow up with students. Colorado College, Colorado Springs, stated the goal of reaching carbon neutrality by 2020, and with that vision turned its library into a carbon neutral, net-zero energy space. As plans developed to expand and renovate Tutt library to become the campus intellectual hub, it became imperative to design the new library as a net-zero energy building. Prior to the renovation, Tutt Library consisted of 91,501 square feet of space with an additional annual energy cost of $1.19 per-square-foot. The finished library will be 94,317 square feet of carbon-neutral, net-zero energy space. The final design features four synchronous sources of electrical power, with the ability to feed the grid; five sources of heating, with the ability to export heat to the campus hot water distribution system; and two sources of cooling. The new library opened in August. University of California, San Diego, established the Integrated Procure-to-Pay Solutions Re:Event. This system, known as Re:Event, is a cost-effective way to reduce the administrative burden of handling event-related business for the campus. This platform allows for catering requests and payments to be handled in one e-procurement system, eliminating several of the original steps. The team created new entertainment approval roles and created workflow to route invoices for review. Also built in were automatic notifications to the police department whenever alcohol is being served, to help mitigate risk to the university. Caterers are now offering negotiated discounts for their services on campus. The new process has resulted in cost savings, estimated at $100,000, based on projected time savings, revenue calculated on payment terms, and catering discounts. The next stage of Re:Event will involve phasing out the payment reconciliation tool. Recognizing outstanding professionals at a college or university who have high potential to succeed. 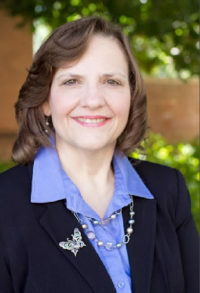 Lisa Frace, associate vice president for planning and budget and chief budgeting officer, Arizona University, Tempe. Having led the office of planning and budget for 12 years, Frace has developed business processes to effectively manage a nearly $3 billion institution. She has been involved in several comprehensive strategic projects, and she was one of two key figures involved in the university’s recent acquisition of Thunderbird School of Global Management. Frace also led her department through more than $200 million in state funding cuts within a three-year period in the wake of the 2008 financial crisis. Frace is an active volunteer with NACUBO and WACUBO, serving in numerous leadership positions. 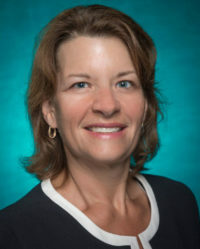 Sara Thorndike, associate vice chancellor for finance and controller, University of North Carolina, Wilmington. As UNCW underwent significant leadership change in 2014, Thorndike was able to expand her role and responsibilities. As new leadership led to changes in business practices, including a new strategic plan, Thorndike established a financial analytics department and redesigned the annual budget process. She continues to serve as a key adviser to executive leadership. She has identified resources to fund $2 million in annual merit scholarships and found additional funds for other strategic priorities by reprioritizing the way the university was spending available funds and refinancing debt. Thorndike, who manages a team of 65 staff, reorganized to consolidate and redesign positions, resulting in financial savings that were reinvested in existing staff. Recognizing individuals who made contributions to NACUBO’s professional development activities. 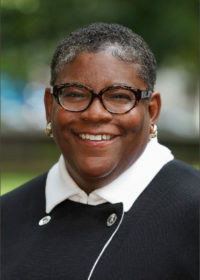 Bronte Burleigh-Jones, vice president for finance and administration, Dickinson College, Carlisle, Pa. As an active volunteer with NACUBO and EACUBO, Burleigh-Jones has served as facilitator at three CAO/CBO Collaborations workshop, and a faculty member for the 2015 Women’s Leadership Institute and the 2016 Big Opportunities for Small Institutions workshop. She has contributed numerous articles to Business Officer magazine, made contributions to the NACUBO website (currently being redesigned), and assisted with a NACUBO membershipwide needs-assessment effort. At Dickinson College she manages the college’s business operations, facilities, capital projects, auxiliary services, and human resources. She previously served in leadership positions at St. John’s College, Annapolis, Md., and Huston-Tillotson University, Austin. Honoring NACUBO volunteers who have demonstrated a continuous commitment to the advancement of college and university accounting and financial reporting. 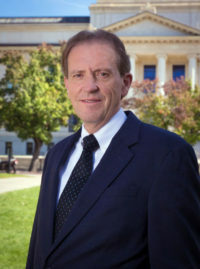 Jeffrey West, associate vice president, financial and business services, University of Utah, Salt Lake City. West has been an outstanding contributor to the advancement of college and university accounting and reporting for more than 35 years, and has served as a volunteer for NACUBO and WACUBO. He was the primary developer and instructor for WACUBO’s annual workshop for academic unit business officers and currently serves as a faculty member for the Business Management Institute. West has served on the NACUBO Higher Education Accounting Forum program committee since 2013, and has chaired the group since 2015. He leads a staff of 60 in the functions related to accounting, reporting, financial analysis, tax, purchasing, federal compliance, travel, debt management, process improvement, and related activities. NACUBO’s most prestigious award honors and recognizes chief business officers who have made outstanding contributions to business and financial management in higher education. 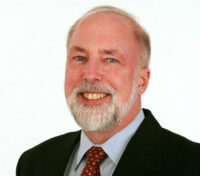 Stephen “Steve” Hannabury, executive vice president, Franklin W. Olin College of Engineering. Hannabury played a formative role in the founding of Olin College of Engineering, Needham, Mass. He was the institution’s fourth employee, and when he started, there were no students, campus, curriculum, nor financial planning. He built the financial, administrative, and operational systems of the new enterprise, overseeing the land purchase and construction of the $150 million campus. He serves as the primary liaison between the college and the board of trustees, helping with development of new and long-range strategic planning. When the Great Recession hit Olin particularly hard in 2008, Hannabury led the board and its financial sustainability committee through dozens of financial models until they found one that made the most sense for the college and its mission. He is active with both EACUBO and NACUBO programming and professional development, and has served on the advisory board of Commonfund Capital Investors. Look for articles on the individual award winners in the fall issues of Business Officer magazine. Read the first article “Master Problem Solver,” featuring Distinguished Business Officer Award winner Stephen Hannabury, in the October issue. The second cohort of NACUBO Fellows made its debut at the NACUBO 2017 Annual Meeting, in Minneapolis. These 16 individuals will participate in a one-year leadership development program, now in its second year. Business Officer editors caught up with the Fellows to ask for a bit of background and learn about their expectations of their year in the program. My colleagues are such an amazing group of individuals at a variety of institutions; they will be able to offer their unique campus perspectives and ideas to challenging issues. Over the next year I intend to take advantage of that, and also to strengthen my soft skills, which are not as dominant in the way I interact with faculty, staff, and students. I am currently leading a team effort to deploy a cloud-based budget system and a long-range planning tool. The Fellows program is affording me the opportunity to visit other schools and gain insights on creative ways to engage stakeholders and construct a robust and adaptive model that can be used to inform decision making. Shawnee State is exploring how to adapt the RCM budget model to a small campus. We want to establish appropriate incentives for creativity and growth, without introducing undue complexity. I believe the Fellows program will expose me to new strategies that will help guide this transition. DENNIS BUTLER, comptroller, Marquette University, Milwaukee, Wis. Through my participation in this program, I hope to enhance my management, leadership, and communications skills by gaining an awareness into the best practices of a successful chief business officer. JEAN CIBUZAR, executive director, finance, Gallaudet University, Washington, D.C.
After starting my career in auditing and then moving to an accounting role at a venture capital firm, I moved toward business process redesign and financial system implementations. My client base ranged from technology companies to manufacturing to retail to, finally, higher education. Gallaudet University was my first exposure to the business side of higher education. I’m looking forward to further developing my understanding of the academy and am excited about this structured program with NACUBO. My institution recently acquired 50 acres of land, and a small team, which includes myself and the CBO, has been tasked with conducting economic development within the city of Prairie View, where our campus is located. Through this program, I look forward to extracting ideas, resources, contacts, and insightful do’s and don’ts from other fellows, and establishing relationships with a cadre of colleagues from around the higher education spectrum. R. SCOTT FREW, assistant vice president for finance and treasury management, Dartmouth College, Hanover, N.H.
For me, having a trusted set of peers from such a diverse group of institutions is the most exciting part of the Fellows program. My fear is about being sure that I make time to take advantage of the program. It is always too easy to tackle the most urgent tasks that are sitting on our desks, while professional development takes a backseat. EILEEN GERENZ, associate vice president for finance and administration, Massachusetts Bay Community College, Wellesley, Mass. Over the past three years, I have focused on improving internal processes and procedures for the business operations at my institution. I need to spend more time building a network, and learning from my colleagues to find innovative pathways to improve educational outcomes for the entire institution. STEPHEN HIETSCH, associate vice president, auxiliary services and budget management, Dickinson College, Carlisle, Pa. I hope to broaden my knowledge of the higher education industry, as a whole, and improve my ability to work as a member of a team. And, I am very interested in developing my ability to engage effectively in “whole-brain” communications and interactions, which we learned about in Minneapolis. LISA IMBRAGULIO, associate vice president, business and financial affairs, Samford University, Birmingham, Ala. I have worked at Samford University for the past 15 years; before that, I practiced corporate and tax law. I am excited to interact with leaders from across higher education and to make lasting friendships with other members of the Fellows program. I also hope to strengthen my communication skills. I am most excited about learning from the educators, my colleagues in the program, and the self-study required by the program. My biggest apprehension is balancing the program requirements with my existing job duties. DAVID MOORE, assistant vice president and chief budget officer, George Mason University, Fairfax, Va.
We have had a number of changes at our institution, from a redesign of our budget model to implementation of new systems. I feel that I will benefit from the networking that NACUBO and the Fellows program offers—to hear from other leaders as they have led change at their institutions. As a consultant at a Big Four firm, I was attracted to the unique education and research mission of my higher education clients. Now I enjoy the opportunity and challenge of supporting my institution’s mission with effective planning, strategy, and business practices and services. On my reading list: The Five Dysfunctions of a Team; What Is Six Sigma? ; and Make Your Bed: Little Things That Can Change Your Life … And Maybe the World. Higher education is ever changing, and CBOs are increasingly required to be skilled communicators, politicians, and strategists. My hope is to hone skills in each of those areas and to gain additional insights regarding how others are addressing issues related to student access and affordability, changing business models, and demonstrating the value proposition of our colleges and universities. I originally thought I would be an astronaut with an engineering degree. My career path took several unexpected turns, and I am glad it did. As a CPA, I feel comfortable supporting the financial aspects of the CBO role, but a CBO can have a great breadth and variety of areas that report to the position. I want to learn how I can best support those nonfinancial areas. LINDA THORNTON, Comptroller, Carleton College, Northfield, Minn. I have been a parent since I was 17 years old. Education was my personal path out of what could have been a lifetime of poverty. Work ethic and grit will take you places; education will take you to the right places. As a participant in the NACUBO Fellows Program, I am most excited about exploring more deeply the critical issues impacting higher education and imagining the solutions we can create together.